Let's cut through all the debates. The issue here isn't really White Phosphorus or fuel for Hamas or terrorists using ambulances and hospitals as cover, or the morality of human shields. None of those were ever really the issue, no more than the spindly 45 kilometers of Gaza were the impetus for war. Israel is being held to a double standard, but there is one single core at the heart of that double standard. And it has nothing to do with how much land Israel is or isn't willing to give back, how many checkpoints Israel has to keep terrorists out, or whether the Separation Wall should swing one kilometer left or right. None of those are the issue. Only this is. Does Israel have the right to exist. Israel withdrew from Gaza, ethnically cleansed its own population to do it, turned over the land, and then watched Gaza be taken over by Hamas, a group that's first cousin to Al Queda, which refused to even negotiate any permanent peace, and began lobbing rockets at Israel. After all that, some might have foolishly assumed that if Israel used troops to stop the attacks, that the world would be behind it. Of course that was not the case. And the simple reason is that those who do not support Israel going after Hamas, do not support Israel's right to exist. If it were otherwise, why would a shell falling on an Israeli town have less moral weight, than one falling on an Arab town? If it were otherwise, why would a dead Israeli child have less value than an Arab one? Why was Gaza occupied Palestinian territory when it was in Israeli hands, and yet considered rightfully belonging to Egypt before 1967? The answer of course is that they wouldn't. The double standard isn't a simple matter of bias, and those who suffer from it, sooner or later tip their case, by raising the question of whether Israel should exist at all or not. While Israelis continue to believe that there is anything they can do to change the picture, the double standard is not rooted in anything that Israel does or doesn't do. It really doesn't matter what Israel does, the problem for both Muslims and their supporters in the West, is that Israel exists. Period. Anything survival oriented that Israel does, will meet with instant condemnation from them. If Israel kills terrorists, it's a terrorist state. If Israel builds a wall to keep the terrorists out while giving up the land to them, Israel is practicing Apartheid, say the very same people who have been demanding that Israel give up the land. If Israel blockades Iranian arms, it's starving the "People of Gaza". Even when Israel begins making concessions, these are only used as proof of how evil Israel is. If Israel sits down to negotiate, it's accused of plotting to rob the terrorists. If Israel offers 99 percent of the land, it's blamed for not offering 100 percent of the land. If it offers a 100 percent of the land, that too is clearly another trick, say its maddened critics. If it negotiates with Fatah, it's subverting democracy by locking out Hamas, despite the fact that Hamas believes in theocracy, not democracy. If it negotiates with Hamas, it's subverting Fatah, which is just another example of Zionist treachery. Israel is accused of using Fatah as its puppet and is accused of creating Hamas to destroy Fatah, by the very people blasting Israel for striking Hamas. Israel is blamed for the situation in Gaza, despite giving up Gaza. They demand that Israel offer a ceasefire, when Israel does and Hamas refuses it, they blame Israel. When Israel declares a unilateral ceasefire, they naturally blame Israel. The madness never ends. And it's never meant to. There's nothing rational that powers this double standard. There is nothing you can argue or debate with. When you cut to the emotional core of it, what motivates the other side is a deeply held belief that Israel should not exist. 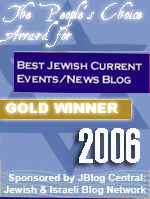 Humanitarian behavior by Israel only further maddens its critics. By trying to escape their propaganda, Israel only earns further vitriol, and it is as futile as sending protest letters to the German government was in 1941. You cannot convince people who are deeply determined that you should not exist otherwise by offering them a hug. The correct response to people who think you shouldn't exist, is to fight for your own existance harder than ever. Anything else is foolish and self-defeating. There are various reasons why Israel's enemies believe it should not exist, from the theological to the political to the economic. But those cannot and will not be changed by Israel's actions. The same people who believed Israel should not exist in 1948 were not temporarily silenced by Israel's show of humanitarian nobility, but by Israel demonstrating over and over again that it could survive and thrive, even against the odds. Nothing deters a would be murderer and his accomplices, half as well as the proposed victim buying a shotgun and a pair of dobermans, and leaving the last intruder's body out on the lawn. The frenzied display of hatred for Israel is not produced by Israeli military action or supposed atrocities, but the lack of conclusive victories. Each setback for Israel drives its enemies into a new frenzy of excitement, certain that they are on the verge of achieving their final solution. A drawn out conflict in turn draws the press, which always loves an unsolvable problem, and smells the decay that comes from failure. Both can be dissuaded only by strong Israeli leadership delivering solid defeats to the terrorists the enemy has pinned their hopes on. Had Israel destroyed Hamas and Hizbullah, the criticism would quickly die down to an annoyed mutter. The fanatics would retire to raving in a corner. But Israel turned back from doing so, and so the hate will increase, the incitement will grow viler and the attacks will grow more dangerous. Because nothing emboldens the enemy like failure. A month after Operation Iraqi Freedom, and the Anti-War movement were marginalized buffoons. Two years and they were media darlings. The difference was the perception of success for the war effort. Had the issue been moral, then the Iraq War would have been wrong regardless of how successful it seemed to be. But the issue is never moral, it's political. The US effort throughout and after WW2 was barraged by criticism, a criticism now forgotten primarily because the far right and far left journalists responsible for it and their words became irrelevant, as as US demonstrated that it had succeeded. The Iraq War or the Vietnam War would have been no different. Meanwhile since the intifada began, each Israeli concession has not made Israel safer, has not made the Arabs who live inside Israel better off, but has given those who hate Israel fresh hope that the country they hate so much can finally be destroyed. Every failure to crush the terrorists has fueled the public and media frenzy of hate directed at Israel. And the longer Israel fails to finish the fight, the worse it will get. Israel cannot win by appeasing those who hate it, or by relying on humanitarian gestures combined with indecisive military operations to convince its critics that it is really more moral than the terrorists. Israel can only Win by Winning. 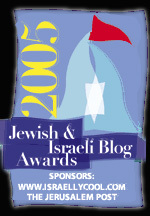 Israel's Public Relations problem does not come from winning, but from losing or from failing to win. When Israel decides to win the fight against Terrorism, it will also win the Public Relations battle. That way and no other way lies victory. Yes, Israel has to keep fighting til terror is gone from its borders all around. Yes, but Israel must also simply tell the rest of the world to go to hell and fight terrorism as if its life depended on it--which it does. I applaud your candour and ability to cut out all the absurdity that surrounds every single move that Israel makes. I will be digging this article and sending the link to everyone I know. "When you cut to the emotional core of it, what motivates the other side is a deeply held belief that Israel should not exist." Hear, hear! You are absolutely right. With every step we take backward, they are emboldend and take 2 forward. The fear of what the poritz will say ties the soldiers arms and destroys our confidence to win. I wrote something but then the screen went completely white and I lost the interface completely. Anyway, what I wanted to say was the Israel can and should be a textbook example for the world on how to fight terrorism. The IDF certainly has the knowledge and the capability. And Israel has daily experience in dealing with Islamic terrorism in particular. Why not become examples on how to fight terrorism? I keep forgetting the rabbi on the two hours of Jewish TV on Sunday nights who demonstrates how to do something and begins the segment with "this is how we do it." I think the term is from Pirkei Avot--could be wrong--but would there be anything so terrible with Israel telling the world "this is how we do it" when it comes to battling Islamic terrorism to remove evil and then do good for the world? (ducking for cover for mentioning Pirkei Avot when I really don't know what I'm talking about). AMAZING article. I hope you don't mind if I, too, share it on my blog with credits to you. Knishmeister, don't go into politics. You'll have no time to write your most excellent articles. What you should do is compile some of these MEA's (most excellent articles) into a book and then read the best bits on a book tour. That'll inspire people a whole bunch!